My Perfect Vision. This illustrated storybook for children explains the common symptoms and best treatment for focusing problems. This illustrated storybook explains the common symptoms of focusing problems. Blurred vision impacts daily life and learning. Learn about effective treatment through optometric vision therapy and appropriate reading glasses. Focusing activities include using plus and minus lenses. Often, we place these lens in a “flipper” to make them easy to hold and use therapeutically. We also complete activities where you look near to far and back again. When you add the near letters f- and d- you can make the words “fish” “dish” “fad” and “dad”. This works not only on discriminating the detail, but also visual memory and visual-verbal integration. We use many types of lenses in vision therapy training and testing. This picture features a few styles of Polaroid glasses. Polaroid glasses are often used to test and train depth perception. My Perfect Vision is a story that explains what it is like to experience blurred vision and tired eyes – even when you have “perfect” 20/20 eyesight. 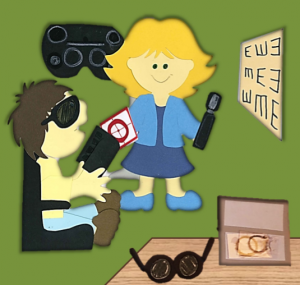 Learn more about reading glasses and Vision Therapy through the colorful illustrations. This is a great book for children starting their Vision Therapy Journey. This illustrated storybook for children explains the common symptoms of focusing problems. Medically called Accommodation Dysfunctions, these disorders include difficulty with accurate clarity of focus, speed of switching focus from near to far, and the ability to sustain focus for long periods. Please let us know if you would like item(s) shipped to a different address or if you want an autographed copy. If paying by credit card, please submit form electronically and call 303-443-2257 to make payment. If paying by check, please mail payment to: Boulder Valley Vision Therapy 1790 30th Street #311 Boulder, CO 80301. $8.00 per book when ordering between 1-19 copies. Bulk orders of between 20-49 copies are discounted to $6.50 per book. Bulk orders of over 50 copies are discounted to $5.00 per book. Dr. Jen Simonson is the clinical director of Boulder Valley Vision Therapy center. She is also a mother of three boys who love bedtime stories. 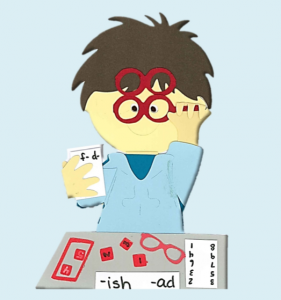 She was inspired to write this story after realizing there were many books about getting glasses, but not about her passion – correcting vision issues through optometric vision therapy.